The year was (about) 1952. It was the year my grandfather, Frank Blackburn, died. I think he was 79 years old. He lived with us and was not well. He mostly stayed in a back room in our house. He felt bad most of the time, so we children did not get to know him well. He was my mother's father. I did not know his wife, my grandmother, who was Ona (Wells) Blackburn. She died before I was born. 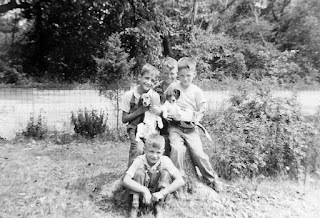 We lived on the Earl Wallace property. 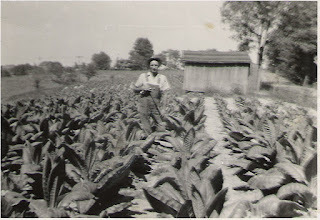 My parents rented the farm and did work for Mr. Wallace to help pay the rent. There are many stories in my head in regard to this place. Today I noticed the picture above and tried to remember on what occasion my cousins were at our house, but I cannot remember. I do, however, remember my mother's taking this picture. I notice that I did not have my braces on this day. In those days I could take the braces off from my shoes and wear my shoes without the braces, but I could not walk. I crawled around on the ground when I did not have braces on my legs--two long-leg braces. I am sitting on the ground in front in this picture, and the boys behind me are (left to right): my brother, Eddie Wolfe, my cousin, Dawson Jones, and my other cousin, Rodney Reel. I wish I could remember more about the activities of this day, but I cannot. I am persuaded, though, that we had a good time together, because we always did. 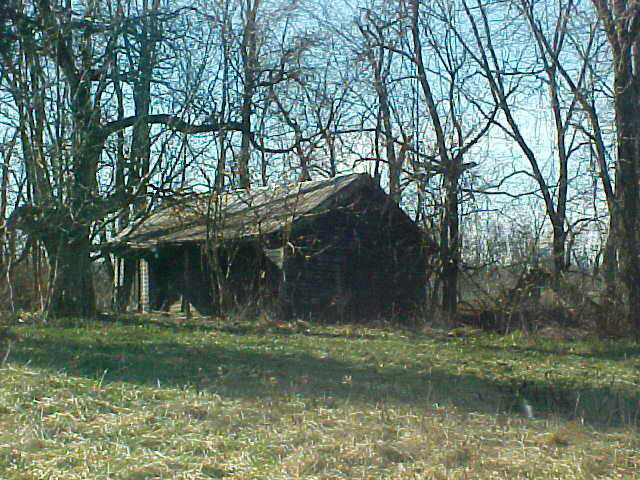 The property is on the Morgan-Marcus road. Many who live in Pendleton County, Kentucky, know the property well. Below you can see a couple more pictures from that property. 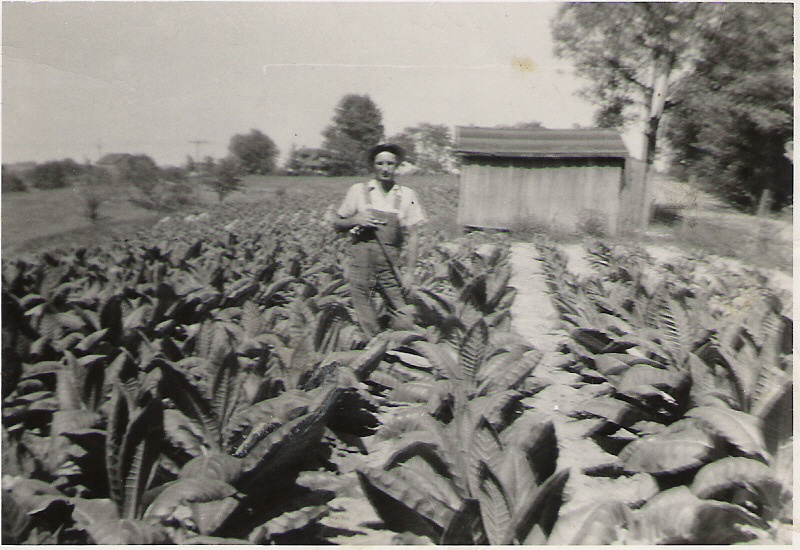 My father worked in that tobacco patch, and it grew to be much higher than his head. 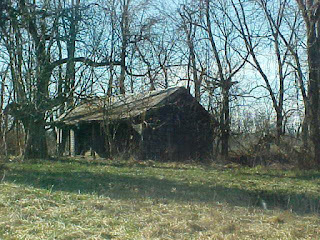 The bottom picture is what is left of the house. A 50-cent piece lies under the front room floor, the one that I dropped through a knothole when we lived there. I hope sometime someone will find it and give it to me. That would be wonderful, though not of much real value. I am indebted to my friend, Benny Brown, for this picture of the house.